How does Search Engine Optimisation (SEO) Benefit Pakenham Business? Most people believe that once you have built a WebSite the visitors will come. The fact is that without promotion of the site your prospective customers will not be aware of the existence of your web site and of your business unless you promote your site both online and offline. SME Design has the know how to assist you with website promotion. SEO simply means getting a website to rank higher on search engine results for the relevant keywords. At SME Design we achieve this by designing, writing and coding your website to enhance the prospect of your site appearing higher in the search engine ranking for a selected key word or phrase. 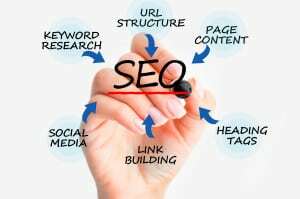 Search Engine Optimization, or SEO as it is commonly called, is a method in which a number of elements are applied in order to make the site more visible to search engines, for relevant key words. These Search Engine Optimization Techniques include a variety of methods, including the use of keywords and keyword phrases in written content on a website, tags on photos describing what they are in some detail and the use of links to other websites that provide back links to your website. Whilst there appears to be many changes to the rules of search engine optimisation in recent times, particularly the various Google updates. The rules have not really changed so drastically at all. Google is much better than it was, at discerning quality sites with content of value than it used to be. This was always Google’s aim. Google is the leading search engine and it is our aim to work with Google to achieve the desired results. Yes, there are other search engines but Google’s dominance in the market place is overwhelming. Also if you achieve ranking that you wish to achieve with Google it is expected that your ranking with Bing and Yahoo will also be providing good results. A million irrelevant backlinks will not do you any good either. Google will attempt to reward WebSites that provide the best user experience with solution orientated relevant quality content with quality relevant backlinks.. It is recommended that your website is updated regularly with current relevant content. The idea being that the more SEO-optimised your website, the more likely it is going to show up in search results. when you enter a business name or search term into a search window on your computer. The websites that pop up in answer to your search query do so only because of SEO elements that have been added to the websites and the content appearing in those websites. Before the internet became a giant collection of millions of websites, the need for SEO was not as great as it is now. Search engines routinely scour website pages collecting information to store away on massive databases. Because there are so many active websites in today’s internet world, you need to find ways to bring the search engines to your website. That’s correct, just because you launch a website search engines don’t instantly recognize this nor will they visit your website regularly unless you utilize various SEO practices. Think of your website domain name as your internet address. You know that your website lives there. Anyone you’ve shared you domain name address with will know how to find your internet location but unless you invite search engines to your website they will never know you are there. That is why SEO Search Engine Optimization is such an important tool for online business. But you need to be careful in how you use it as search engines are pretty smart and can skip over web pages in websites if they contain too much in the way of trickery. There are basically two different kinds of search engine optimization you can incorporate into your website. They are simply known as ‘On Page SEO’ and ‘Off Page SEO’ and as the names imply, one focuses on physical traits that can be added to the web page or website while the other employs tools and sources not directly connected to the website for additional search engine exposure. Always include quality content on your WebSite pages. Spammy, spun content has no value to the visitor or to the search engines. Good quality content provides a solution to your site visitor. The more time the visitor stays on your site the better your site will be perceived by the search engines. Good quality content is what the user came to view and is extremely important to deliver on this expectation. The search engines. As such, it is important to create good content. So what is good content? From an SEO perspective, all good content has two attributes. Good content must supply a demand and must be linkable. Web Pages should have Optimized URLs. All this means is that URL contains key words relevant to the content of web page. 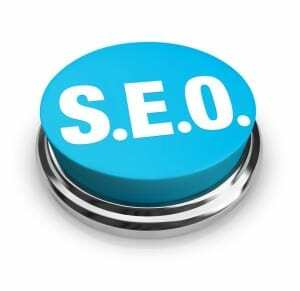 On page SEO is develop in a number of ways are built entirely around keyword usage. For example, if your business or product is Toy Cars, the domain name you choose for your website should have those keywords in it. In fact, those keywords should also be part of your website title, description and in page heading tags. They should also appear in web content with a keyword density of approximately one percent. The keywords should also be placed in specific locations for search engines to find them quickly which means in articles on your website positioned in the first and last sentence, in all image tags and throughout internal linking within your website. The keywords tell search engines what your website is about and actually ‘teaches’ them to remember your website once pages from it get indexed into the search engine database. That is why On Page SEO plays such a huge role in pulling search engines to your website. Essentially you want any user of the internet who types in your keywords in a search window to be fed a number of pages from your website as options in answer to the user’s search query. But On Page SEO is just half of the equation. With business sites it is easy sometimes to miss the obvious for example. The business plan off SME Design includes specialising in providing personal Web Design services and consulting in online marketing to a specific geographic region of Australia. Even though we have developed Websites that are operating and competing very successfully as E commerce sites in USA. This facet of our business is focusing our attention closer to home. As our belief is that to work successfully with a Small or Medium sized business it is required to have a greater understanding of the goals that are wishing to be achieved. We have been very successful in providing our services from Dandenong, Pakenham, Warragul, Drouin, Morwell, and Traralgon basically the Gippsland region of Victoria. In saying that we have provided consulting services right up the eastern sea board, NSW and Queensland. Off Page SEO plays as big a role but is more of an indirect connection to your website used to bring search engine attention from sources outside of the website itself. Include using social network sites to post and share items from your website as well as using a blog to promote your website. Other effective methods include posting on online forums, adding your website to search engine submission sites, writing business reviews at various sites for this purpose along with issuing press releases and using link exchanges. All of these Off Page SEO methods actually spread the word for you about your website reaching potential customers that may not have tried to find you with search engine queries. Sometimes it is hard to value off page search engine optimisation but think about it spreading the word but in this instance the word is being spread via the internet rather than face to face networking. Place information about your site in various relevant directories, professional associations. Cross promoting your website with videos posted on popular video websites and sharing photos from your website on any of the many online photo sharing communities are also very popular and easy forms of Off Page SEO that can drive new traffic to your website. This article is only a basic introduction to Search engine optimisation. As you can see Search Engine Optimization is in actual fact a two pronged program designed to draw search engines to your website primarily through On Page SEO and to drive new traffic to your website from exposure and awareness created through Off Page SEO. Both of them are necessary in order to push your website high in rankings and to the top of the page whenever someone enters your keywords in a search window. This is why you need the assistance of a web designer who understands search engine optimization and SEO practices working on your website. They will tailor your website with all the proper tools to turn it into a ‘search engine friendly’ site that generates traffic which in turn generates business to you and the service you are promoting online. SME Design wants your Pakenham business to be seen by your potential market.